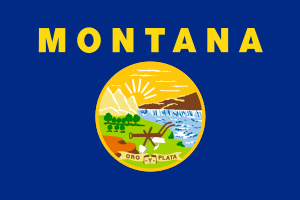 Montana employs about 1,000 paralegals within its borders and of all the states, it is the one with the highest concentration of paralegals in a rural area. Paralegals, or legal assistants, are highly skilled individuals able to participate in substantive legal tasks but are not lawyers, nor can do some of the things lawyers do. Paralegals cannot, for instance, bill clients for their time; they cannot offer legal advice; they cannot call themselves attorneys or present themselves as such; and they cannot try court cases. Almost anything else and a paralegal can do it, from interpreting documents, to drawing them up, to interviewing witnesses for trials, performing legal research, and interfacing with clients, paralegals get to engage in many tasks which helps keep the job interesting and fast-paced. (b) in the absence of the paralegal, would be performed by an attorney. This states that while technically an individual does not need higher learning to become a paralegal, she cannot use the title of paralegal without a slew of on the job training hours and a sworn statement by the lawyer who has hired her. And even then she needs 5 hours of continuing and approved legal education. Montana is obviously quite serious about their paraprofessionals’ education. It is also serious about how a paralegal works. They must not practice as a paralegal outside of the supervision of a practicing attorney who is in good standing and responsible for the actions and ethical choices of the paralegal. Requirements for the tests vary by test and association, so please refer to the chart for differences. Certificated refers to the certificate granted at graduation from a school that is accredited and/or ABA approved. This can be gained by successfully completing an Associate Degree in legal studies or criminal law (among others), a Bachelor degree in the same, a secondary Bachelor degree, a Post-Baccalaureate degree, a Master’s degree, a law degree, or a Juris Doctorate. Part of the definition mentions accredited schools but not ABA approved schools. An accredited school is one that has received accreditation by the Department of Education or other regional oversight organization. It tells the country that the school has certain stringent standards in their programs and how they are taught. ABA approval means the American Bar Association has decided the school or legal program meets and/or exceeds their standards. A school can be neither or both, so pay careful attention to whether the program you wish to take is offered at an accredited school or is ABA approved. When in doubt, always go for accreditation and approval. Montana has two ABA approved schools. University Of Great Falls in Great Falls is a public, four-year school that offers both an Associate of Science degree and a Bachelor of Science degree in Paralegal Studies. The AS would take about 2 years to complete while the BS would take 4 years. In either case, internship is mandatory and offers several electives. 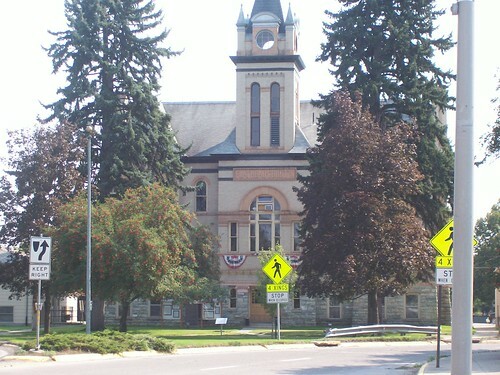 University of Montana in Missoula offers an Associate Degree in Paralegal Studies, useful as a springboard to transfer out for a BA in the paralegal field. The AAS degree obtained at this University is good for an entry-level position in the field, making the student immediately employable. An association is a good idea for a paralegal to join; it displays a willingness to promote the professional status of the field, it allows for networking, staying abreast with the latest changes and updates, job banking, continuing education, and even mentoring. There are often seminars, guest speakers, and it helps support the paralegal profession, the use of paralegals in a professional capacity, ethics and conduct.